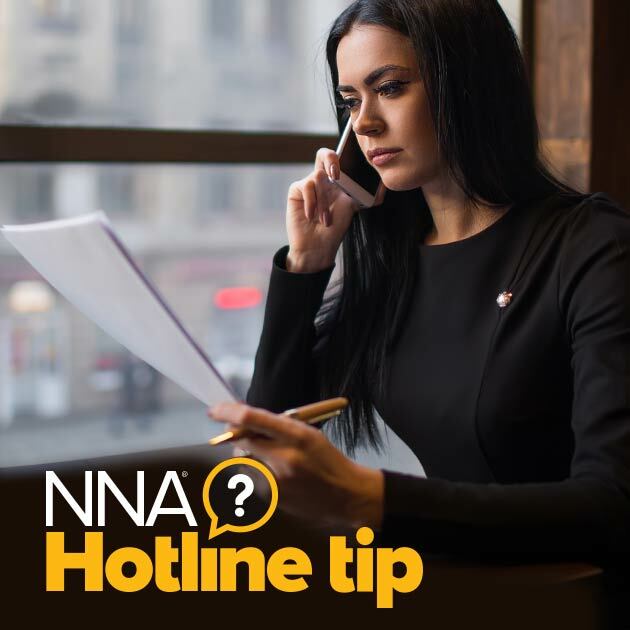 Hotline Tip: Am I Allowed To Use A Loose Certificate? When appropriate certificate wording is not pre-printed on the document, a loose certificate may be attached by Illinois Notaries. This rule applies to most states, with some notable exceptions, such as Maryland, which prohibits Notaries from attaching a loose certificate, and Virginia, which allows loose certificates, but only if the name of the signer appears in the notarial wording. When using a loose certificate, the form is generally stapled to the document’s left margin on the signature page. Only one side of the certificate should be stapled, so it can be lifted to view the document underneath. There are precautions a Notary can take to prevent a loose certificate from being removed and fraudulently placed on another document. The Notary can emboss the certificate and document together, and write “Attached document bears embossment” on the certificate. Or the Notary can write a brief description of the document on the certificate: e.g., “This certificate is attached to a ___________(title or type of document), dated _____________, of ___(number) pages, also signed by _____________________(name[s] of other signer[s] if any)”. Notaries should consult their state laws regarding loose certificates before using them.